Lately, I’ve been seeing a lot of internet articles related to writers and blogging. Since marketing a book is largely being left up to its author these days, fiction writers are becoming more and more curious about whether or not to start blogs of their own. Less than a year ago, I was in the same position. In fact, I was a complete social media moron until after I started Write It Sideways. Twitter seemed like a complete waste of time, Facebook fan pages looked silly–never mind all the other social outlets. If I didn’t have to compose articles every few days, I’d be less motivated to spend time learning about the craft of writing. As it is, I know I’m expected to deliver quality information here, so it’s necessary for me to keep reading, learning, and sharing. Professional development doesn’t just help me to write better blog posts–it helps me write better fiction, too. And of course, that’s my ultimate goal. Like all mothers, I’m terribly busy. Anyone could forgive me for not having time to write, perhaps even for days or weeks on end. I could forgive myself for it too, if I weren’t here telling people that I write, and helping others to do likewise. How much of a hypocrite would I be if I allowed myself to put it off just a little too often? There are definitely days I don’t have time to write, but knowing I need to set a good example for others helps keep me in gear. Sure, I don’t have a published book just yet, but that doesn’t mean I can’t build my marketing skills. I didn’t know a thing about marketing before I started this blog, but this experience has helped me learn some key principles. By the time I get a publishing deal, I’ll be set to market the life out of my book. Personally, I’d rather learn those ultra-important skills now than at the last minute. Being forced to write articles on a regular basis has helped me improve my prose in small, but meaningful, ways. I may have a degree in English, but this experience has made me more aware of weaknesses in my language. Over time, I’ve seen a difference in the quality of my writing, the benefits of which obviously extend to my fiction. Creating Write It Sideways has helped me connect with so many wonderful writers–both aspiring and professional. You can’t imagine how excited I was when, within a month or two of starting, author Larry Brooks first contacted me to say how much he was enjoying my blog! I’ve also made friends around the blogosphere by guest posting on other sites, including Write to Done, Men with Pens, Storyfix, Nathan Bransford–Literary Agent, World’s Strongest Librarian, Zen Family Habits and Fuel Your Writing. Do you think all writers should be blogging? Only those with a published book or other product to promote? Along similar lines, here is a short list of the blogging-related posts that have turned up in my feed reader recently. Whether you’re thinking of starting a blog, you already have one, or you’re yet to be convinced it’s a worthwhile venture, they’re all articles I recommend you read. In my previous article, I outlined how several key reasons why my blog growth accelerated. Most importantly, I decided to invest in knowledge rather than try and learn everything on my own (who has time for that these days?). If you’re serious about fast tracking your own online presence like I did, then make the wise choice to invest in your own knowledge and learn from the some of the most experienced bloggers online. Join me and sign up for Leo Babauta’s latest blogging bootcamp, How to Make Blogging Pay the Bills. Sign up closes May 14th, so don’t delay your blog growth any longer, click here to sign up now. « Want to Fast Track Your Blog Growth Like I Did? I’m so glad I started blogging long before any publishing concerns. My blog is a space where people are encouraged and belongs only to itself. Sure, some day I might create an author website. But not there. The blog has its own life. It also means I have been writing for over a year. Every day. And I have done that in the midst of very turbulent and troubling times. I wouldn’t have done it without the blog. Cassandra, I’m glad I started too. This way it doesn’t feel like something I HAVE to do to promote, but something I WANT to do. Every writer needs a blog. It doesn’t matter whether or not you’re published, either. Just having that blog makes you accessible to your potential audience. In my case, I came from a technical writer/documentation background, so the main thrust of my blog is helping technical-type folk (tech writers, programmers, analysts, lawyers, etc.) “convert” to fiction writing. I tell them what I did, why, and what I’m going to do. If you have even one book available — and are doing another one — just telling the readers what’s going on keeps some accountability in on you. Yes, my 4 novels are available from the site, but it’s not the main purpose right now. I agree–every writer should have a blog, whether the purpose is to publish short excerpts of your work, build an audience, expand your writing repertoire, or whatever! Great points, Suzannah. I find blogging not only works wonders in a marketing sense, but it’s also a vent. I spend most of my writing time with other people’s words and thoughts. My blog is my stuff. I can (within the bounds of propriety) say whatever I like. Thanks, Michael. I’ve learned so much about marketing through this venture–that in itself has been payoff enough for when I do get a publishing deal. Hi Annie. I felt like that about my first blog, but I think it was because I went into it thinking, “Ah, if it works it works, if it doesn’t it doesn’t.” This time I told myself I’d stick to it and do it to the best of my ability, and so far it’s paid off! I think all writers who have something valuable to add should be blogging. I also think writers who write a lot of fiction should be blogging…even if all they’re doing is posting their fiction pieces to their blog. I think so, too, Jennifer. Sometimes, I think newer writers worry they don’t have anything to offer, but I see it as a learning experience. If you don’t have any knowledge to share, go out and learn something. Then, tell your story in the most honest and helpful way you can. Anyone can do this. I love your reasons for blogging, too. Thanks! Personally, I think every single writer should have a blog. I have nothing against writers updating their blogs once a month, but it’s nice to know what’s going on, what they are working on. Hell, if it wasn’t for Tess Gerritsen’s blog I would never know TNT was turning my fav crime solving girl team into a TV show. For me, blogging is a helpful tool in my journey. While I still don’t treat blogging and writing as my no one priority, it allows me to connect to people and learn, and once I make that important change, rearrange the priorities… The people I met through blogging will be there to offer support. And that’s really important. If people are looking for growth, 2-3 posts per week is optimal, but if that’s not a main concern, even once a week is good. Anything less and I usually don’t follow said blog, unless they have really good advice to impart! But, it isn’t necessary to write full-fledged articles either. 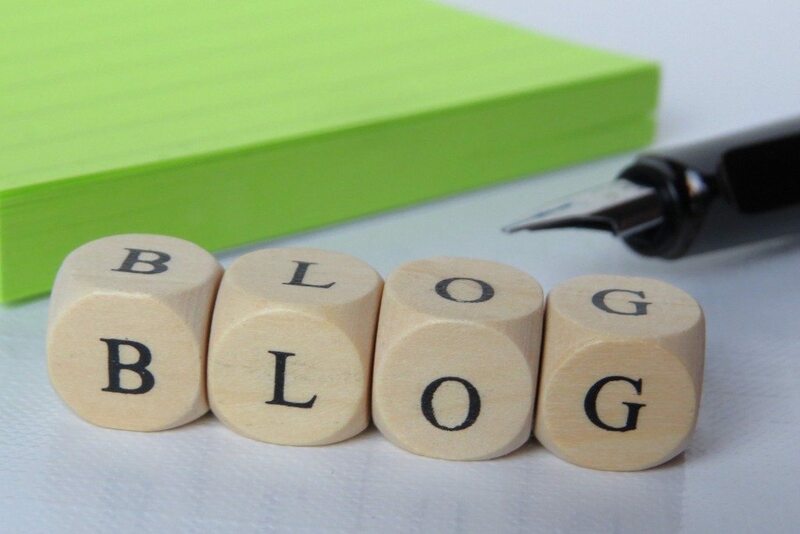 I agree–all writers should blog! I suppose you’re right. Regular blogging is something writers should pay attention to. Then again, I can understand how some of them might be scared they won’t have enough to b log about to make those 2-3 posts a week. What a great post, Suzannah! As a new mom and stepmom to three very active children, I have considered myself lucky just to make it through the day without falling into a coma by 8 p.m. I have prolonged-excused-procrastinated my way out of the screenplay I’ve been writing for over a year now. Because I am an editor and web designer, I spend all of my free time working (or looking for new projects) and set my own creative projects aside. Your post has inspired me to start blogging, in the hopes that I too, will hone my skills and learn more about the craft of writing. Thanks so much. Best of luck with your own writing projects! Blogging helps me to sit down and write every day, and when I do that, I begin to see things differently. I lighten up. I detach. I laugh and observe and enjoy things for what they are, naturally – and people for who they are, naturally. Blogging helps me to observe my everyday life in a more detailed way, which sometimes helps me with my fiction.